Jumping out of a plane at 10,000 feet might be considered utter madness; but if close friends start to worry about your sanity, assure them you will be securely attached (literally) to a fully qualified instructor throughout. 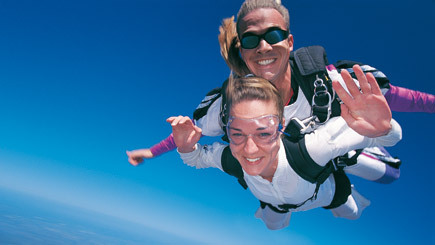 This tandem skydiving experience begins with around an hour of instruction, before you go up. 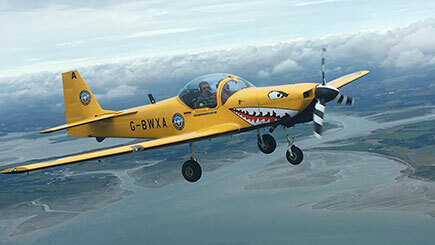 Upon reaching the appropriate altitude, an instructor helps you jump from the plane for an adrenaline-pumping 30 seconds of freefall, which is so incredible there's no point in us trying to describe it. The instructor opens the parachute and controls the descent while you admire the view and come to terms with the adrenaline rush. At the end, take home a photo and DVD of the tandem skydiving experience. Weekends and some weekdays, they also operate on bank holidays. The venue is closed from mid December to the first week of March annually. We recommend booking several weeks in advance, even earlier for summer weekend dates. Max fully clothed weight is 15 stone for men and 13 stone for women. Minimum height 4' 6''. Min age 16. Under 18's need written parental consent. All jumpers are required to complete a health and safety form to confirm they are fit and able to jump. The jump itself is subject to weather conditions and cancellations for this reason are made with your safety in mind. Please call the centre around 5.30pm the day before your booking to check the weather. Duration is dependent on factors like the weather and the number of participants on the day. Please expect to be at the venue for anything from several hours to a full day, including some waiting time. 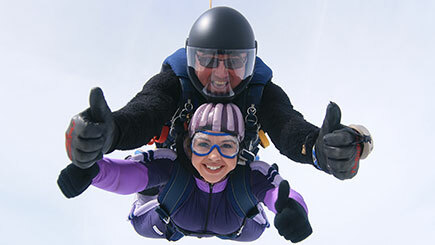 Your training might be shared, your jump is on a one-to-one with a fully qualified skydiver. Dress warmly and comfortably and wear trainers, NOT hard boots. A jump suit and all other equipment will be provided. Please be aware we require 21 days notice to make any booking changes or cancellations.